East Texas- Did you recently visit the grave site of a loved one only recently only to find the head stone was dirty and in need of cleaning or preservation? Cemeteries are among the most valuable of historic resources. They are reminders of various settlement patterns and can reveal information about historic events, religion, lifestyles and genealogy. Over a period of time, tombstones will accumulate a layer of deposits resulting from hard water, dust, dirt, or lichens, mold and fungus that usually grow on a porous stone. East Texas is the final resting place of many pioneers and home to some of the oldest cemeteries in Texas. With Memorial Day just around the corner, learn how to properly preserve tombstones. Due to the different types of materials used as a tombstones, it is important to understand how each material needs to be cleaned. First let us look at the different materials used to make tombstones. Natural stone has been the top choice for cemetery tombstones throughout history. Among the most common types of stone used as tombstones are sandstone, limestone, marble and granite. Limestone and sandstone represent the softest stone. These materials have a hardness between 3-4 on the Mohs hardness scale, and were used as tombstones because of their ease of carving. Marble having a hardness of 4-7 is also considered soft, however it yields more beauty with it’s veining patterns and finer grain which can support intricate carving details. Granite is the hardest of this group, with a hardness rating of 7-9. Granite tombstones will withstand a more thorough cleaning than its counterparts in this group. One of the most readily available soaps is Orvus®, commonly used in association with horse and sheep husbandry. It can be found in feed stores. First, obtain permission from the plot owner or next of kin. Examine the tombstone for damage and ensure the structure is sound. Older tombstones are often fragile and will crumble or crack. If the structure is not sound do not proceed with cleaning. Request the services of a stone conservator. If no problems exist, proceed with cleaning. Mix 1 tablespoon of non-ionic detergent with 1 gallon of water in a bucket. For tombstones carved from marble or limestone, add 1 tablespoon of ammonia to the water. For tombstones made of bronze or other metal, don’t use the ammonia. Bring ample water to the tombstone, and wet the structure thoroughly. Do not allow it to dry while cleaning. Wash the tombstone with the brushes. Use smaller brushes to clean in and around any carvings on the tombstone. Use the scouring pad if necessary to remove any calcium deposits. Rinse the tombstone thoroughly, using plenty of water. Keep the tombstone wet at all times. Use a flat paint scraper to remove the lichens. Repeat this process as many times as necessary in order to remove all of the lichens. Tombstones are best cleaned every two years. More frequent cleaning and scraping may damage the marker. Remember – No matter what material the headstone is made of, NEVER clean it by using a high pressure washer, strong cleaning chemicals or abrasive, wire or metal scrubbers or scratchers. Looking for a greener way to clean tombstones? Try the Snail Method! This method is also used to clean extremely fragile tombstones. Gather as many snails as possible. Snails love lichen and will feast on the lichen covered tombstone. First, obtain permission from plot owner of next of kin. Build a miniature greenhouse over the tombstone with wood and polyethylene pieces. Cover one or two openings with the wire or fabric for ventilation. Place the snails you have collected inside the small greenhouse. Seal all of the exits to prevent the snails from escaping. Allow the snails to feast on the lichens and other biological matter on the tombstone for at least two weeks. When the snails have cleaned the tombstone, remove the greenhouse, thank the snails, and set them free! Cemeteries are responsible for the condition of the cemetery grounds, but the cleaning of your loved one’s headstone is totally your responsibility. It takes a long time for a headstone to get dirty. So don’t expect it to come clean without putting some time and effort into it. Keeping in mind the above information will significantly help you to decide how to maintain your loved one’s headstone. Headstone cleaning is not rocket science but be sure to do your research before deciding hire a professional or do it yourself. I’m an active member of the Texas Gravestone Studies (http://www.texasgravestonestudies.org) and have never heard about the Snail Method. That’s a fascinating concept. Do you have any additional info or resources I can read? I’m glad that someone is addressing this. 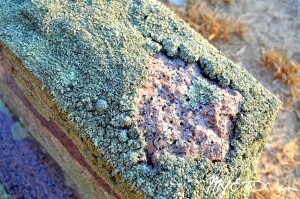 The fact of the matter is that tombstones get old and grungy over time. It’s so important to me to keep my great uncle’s tombstone in good repair. It’s how I remember him. I feel like these tips will help me be more effective in that regard.